Ghosts, specters and the souls of the dead have always held a fascination for mankind who believe they return to haunt the living to satisfy their hunger in the Underworld. In the first century AD, Roman author Pliny the Younger recorded one of the first notable ghost stories in his letters in which he started by asking: “I am extremely desirous therefore to know your sentiments concerning specters, whether you believe they actually exist and have their own proper shapes and a measure of divinity, or are only the false impressions of a terrified imagination?”. 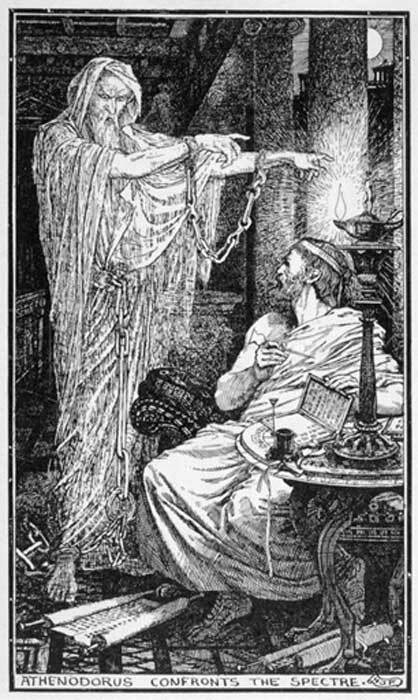 Pliny reported that the specter of an old man, “extremely meagre and squalid, with a long beard and bristling hair”, rattling chains on his feet and hands, was haunting a house in Athens. 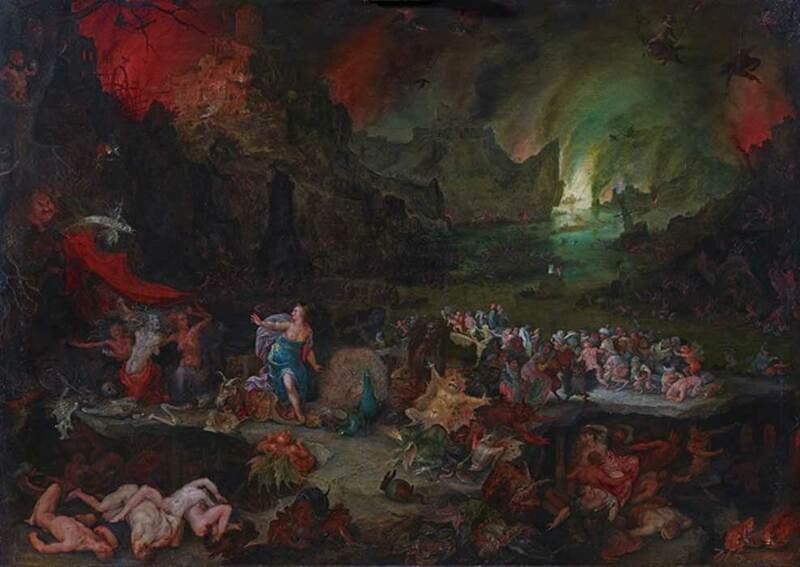 Centuries later, in 856 AD, a poltergeist was reported at a farmhouse in Germany where it tormented the family living there by, among other things, throwing stones and starting fires. The concept of a ghost, or specter, is based on the ancient idea that a person’s spirit may continue to exist after that person dies. Ancient societies began to use funeral rituals as a way of ensuring that the dead person’s spirit would not return to haunt the living. At the Lemuria festival in May, the pater familias of the ancient Romans walked barefoot around the house at midnight, throwing black beans over his shoulder to pacify any ancestral spirits who might be vengeful because they did not have a proper burial. Ovid, in Fasti (book 5), alleged that the origin of this ancient festival was that it had been instituted by Romulus to appease the spirit of Remus who says: “My brother willed not this: his love’s a match for mine: he let fall upon my death – ‘twas all he could – his tears. Pray him by your tears, by your fosterage, that he would celebrate a day by signal honor done to me.” Evidence has also been found of ordinary people using incantations throughout the year to call on the dead to help the living.